Worrying about what to take along with you on your holidays this summer? Have no fear, VIVA has you covered! 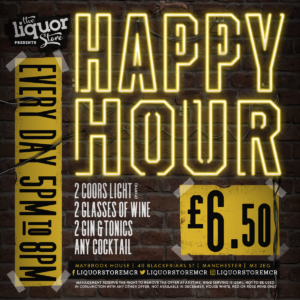 With the weather heating up in Manchester this month, (and with Love Island kicking off to a sizzling start) We can start to see our summer holidays inching closer! If you are escaping to the lands of sunny beaches or romantic cities, VIVA have you covered by reviewing our favourite travel essentials for your summer vacation! ORIGINALE PLUME– By Lipault Paris. This nifty luggage carrier has 4 spinner wheels to make walking through the airport just that little bit easier. This design allows you to walk in all directions, so no more tripping over a case that has a mind of its own! 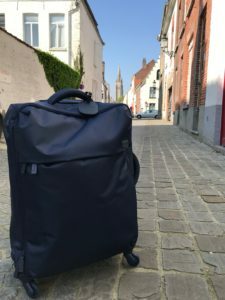 As this suitcase is made from a soft Nylon exterior, it is lighter than most other suitcases and also allows an easier way to wipe clean, (to get rid of pesky sand), making it the perfect travel case! TILE STYLE- PRO SERIES– By tile. Ever lost your keys? 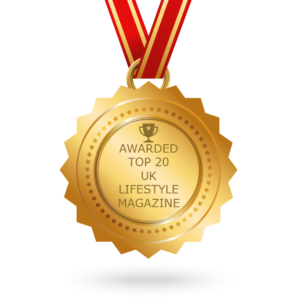 Say no more, I know you will love this! 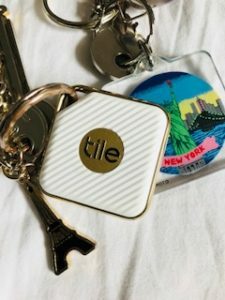 The Tile Style is an amazing piece of technology, with the use of a powerful Bluetooth Tracker, connected to an app you can download onto your smartphone, you will never again have to worry about losing your valuables while travelling! And let me tell you, the Tile Style saved me while walking around aimlessly around Ghent, looking for my car! In a matter of minutes I was able to track the exact location of the car, I can safely say, the tile is an absolute must this summer! CODE MEK- My Essential Kit– By CODE Beautiful. 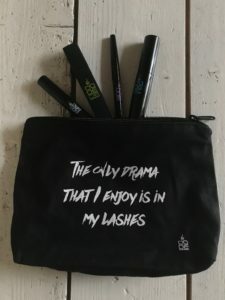 CODE is a feisty Manchester based company creating fabulous must- haves for anyone looking for products that are durable throughout the day, in travel sizes! The products I am reviewing include an attractive make up bag, with a range of sassy slogans available. Other CODE products I used, are what I can honestly say are some of the best products I have ever come across, most specifically the Mini CODE FFL-Forget Fake Lashes and Mini CODE VLM- Volumising Lengthening Mascara, these lash products wowed me with the results, giving an outstanding false lash effect! 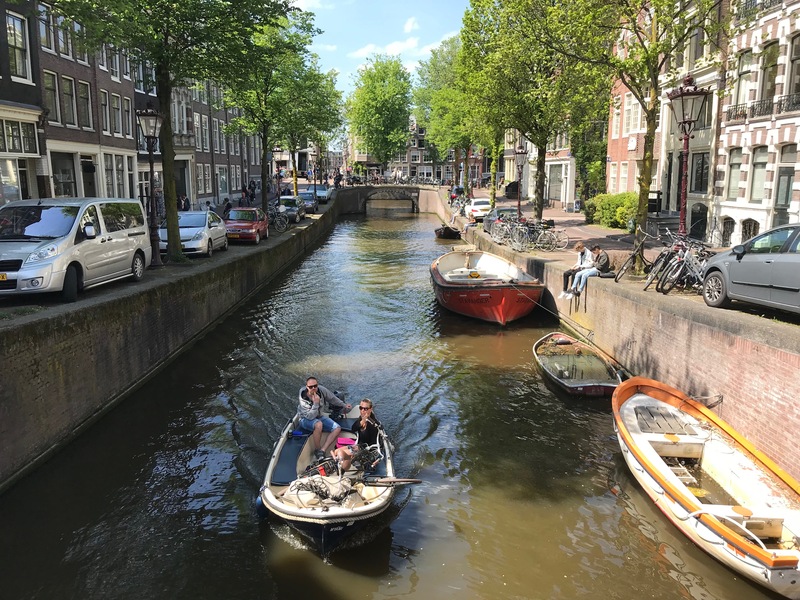 These compact sizes are so easy to travel with, and will withstand the heats of walking around Amsterdam in the blazing sun. 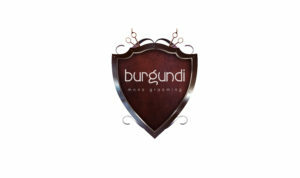 For me, this brand is miles high above the rest! ROSE GOLD ST CHRISTOPHER NECKLACE– By jewellerybox. 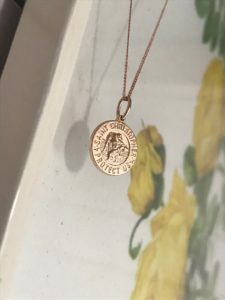 St. Christopher is known as the Patron Saint of travel, so what could possibly be better to use as a lucky charm while on your travels, than this stunning little rose gold pendant? With this simple but classic design, this medal pendant by jewellerybox, will look incredible with any outfit, from day to evening. And lets be honest, who doesn’t love a bit of rose gold? The ‘Coco’ is your must-have handbag accessory this summer! 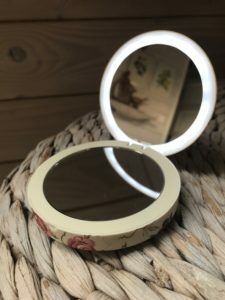 Why you ask, well, this incredible bit of tech is not only a self-lit compact mirror, but it also works as a mobile phone powerbank, to keep you and your devices ready for a full day or night out. Perfect for checking up on how you look, to checking up on your social media on your travels. While using this product, I found it to be so handy, combining a mirror and powerbank frees up space in my bag, allowing more room for souvenirs! The Coco comes in a range of fabulous designs, my favourite being a floral pattern by Emma Bridgewater! TRI BALM– By Frances Prescott. This multi-purpose skincare product is an amazing item to take with you on your travels! Being a cleanser, exfoliator and moisturiser, it really frees up space within your case, but still allows you to care for your skin! TRI BALM is easy to use and is suitable for all skin types! Containing all natural ingredients, this balm feeds your skin the nutrients it needs after harsh heats and tiring flights. I absolutely loved the smell and the overall feeling of the skin around my face, it left me feeling completely refreshed! ARBONNE INTELLIGENCE® -NOURISHING FACIAL OIL– By Arbonne. The Arbonne Nourishing Facial Oil was just an absolute treat to review! Giving an almost instant illuminating glow, I found this facial oil to be smooth and quickly absorbed by skin, leaving skin feeling incredibly soft and in no way greasy. A perfectly small container for travelling, this is for sure a traveling must have to keep your skin healthy and enriched! GLAM SHINE– By Phil Smith. This hair serum smells absolutely divine! Helping keeping that frizz at bay while you explore on holiday, this serum helps keep your hair looking healthy and visibly shiny! I have long and straight hair, so for me, this product helped my hair to stay looking hydrated, I achieved this by just adding it to the tips of the hair and letting it dry naturally in the heat! This hair serum stays true to its name! 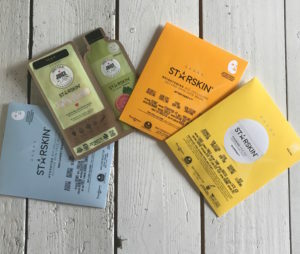 STARSKIN FACE MASKS– By Starskin, available on Beauty Bay. These next generation sheet masks allow a cleaner and quicker way to still be able to treat yourself. While hardly taking up any room, these sheet masks are a brilliant way to bring the spa with you while on your travels! I used in particular the GLOW STAR mask which left my skin feeling energised and gave me the right kind of start to a morning, to get ready for walking around a european city! We hope you enjoy these top travel essentials, and let us know if you use them by tweeting us at @VIVAMagazines!